Rebound Physical Therapy is a therapist owned clinic, founded in 2006, and located in Woodstock, Georgia. Our staff is dedicated to achieving the best possible rehabilitation for every physical therapy patient. Rebound has been voted "Favorite Physical Therapy Clinic" according to the Woodstock community and Kudzu. Besides a convenient location, we also have convenient office hours and we accept most major insurance plans. We are truly committed to providing a great physical therapy experience for every one of our patients. 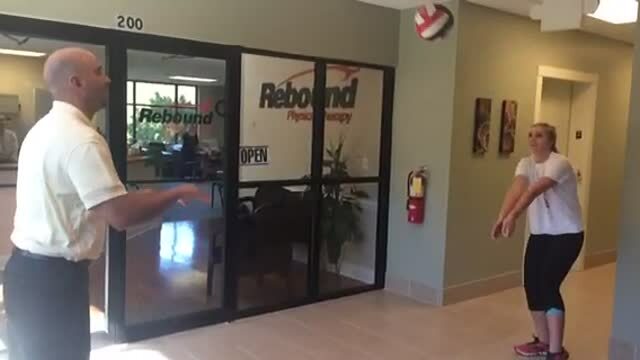 At Rebound Physical Therapy you are more like a friend than just another patient. We truly will "Put The Bounce Back In Your Step". Our physical therapists will utilize a hands-on approach to guide you through a program that is customized for your particular condition. With our one-on-one approach it is easy for our therapists to provide the best possible care as you move through therapy at your own pace. 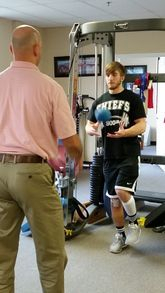 We believe that our approach means a more pleasant experience during your entire physical therapy service. Whether you have a minor sprain from your favorite sport, a serious work injury, an accident related injury, or physical problems caused by age, disease or other natural conditions our physical therapists are here to help restore you to the best possible condition. We routinely treat occupational injuries, sports injuries, orthopedic disabilities, a variety of post-operative conditions, and general life ailments. 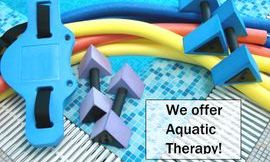 We use a variety of physical therapy interventions, such as manual techniques, dry needling and aquatic therapy. 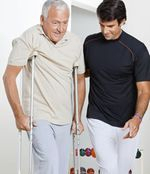 Rebound uses skilled physical therapy to provide a specific need to you. As a patient, you will see that Rebound Physical Therapy Clinic stands out against the corporate clinics. Our friendly staff makes you feel like family and we are all proud to be a part of the Woodstock medical community. Rebound has been voted consumer's favorite for over 10 years in a row in Woodstock, Ga. Call us to learn more about how we can help you with our expert physical therapy services. Before your initial visit please plan to arrive at least 15 minutes prior to your appointment time in order to get your paperwork filed and your insurance information verified. Please also plan to wear comfortable clothes that allow for easy movement. We Will Put the Bounce Back in Your Step! "I've been to Rebound for multiple issues over the last 3 years. They've helped me with my shoulder, my foot, my TMJ and my vertigo. It's a professional environment with a very h..."
"I've had degenerating discs for years. This spring they were really bad. X-rays and an MRI confirmed spinal stenosis, arthritis, and bone spurs in my lower back. The pain would ..."
All Patient Information will be kept private.